Christie’s, Sotheby’s, and Phillips de Pury are hosting Contemporary art sales this week in conjunction with the Frieze Art Fair, which officially begins on Thursday in London. Capitalizing on the flood of art afficionados in town for the fair, the auction houses are hoping to move about $88 million worth of art during their evening sales. Dealers and buyers have been reassured of the art market’s strength following huge boom-like sums achieved during the past few auction cycles, but this round of sales comes at a moment of increased anxiety about the global economy. These sales may set the tone of the major auctions next month in New York, when Christie’s, Sotheby’s, and Phillips will offer several hundred million dollars worth of Impressionist, Modern, and Contemporary art. 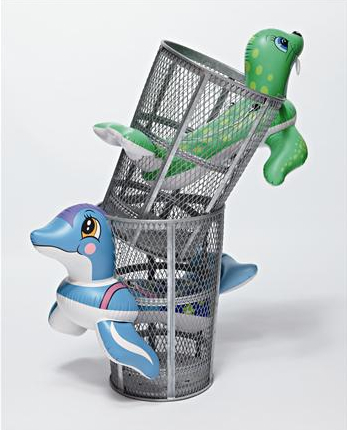 Phillips de Pury will offer 36 lots on Wednesday evening, led by Jeff Koons‘s aptly titled Seal Walrus Trashcans. The work is part of the artist’s Popeye series, first exhibited in 2009 at the Serpentine Gallery in London, though the catalog notes that the present version was not the one on view there. Seal Walrus Trashcans is one of an edition of three plus an artist’s proof and carries an estimate of $3.1-4.6 million. The boutique auction house will also be offering a collaborative work by Andy Warhol and Jean-Michel Basquiat. 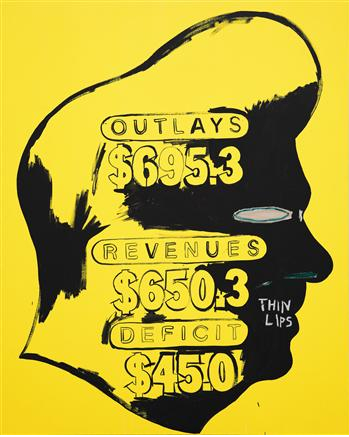 Thin Lips – a not so discreet critique of Reaganomics – is expected to fetch at least $1.1 million. 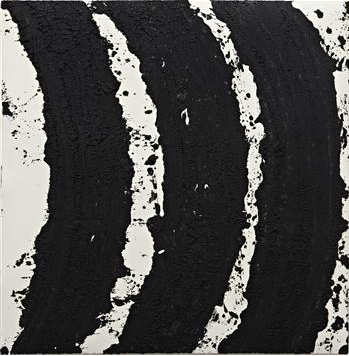 Collectors inspired by the recent survey of Richard Serra’s drawings at the Metropolitan Museum of Art will be given the chance to take home one of his paintstick impastos for an estimated $155,000-233,000. A selection of new work by the artist is currently on view at Gagosian Gallery in New York. The top lot at Sotheby’s on Thursday night is a portrait by the late Lucian Freud. 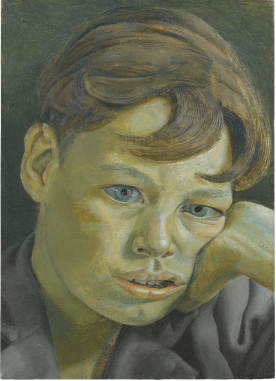 The painting depicts Freud’s young neighbor, Charlie Lumley, with his head resting on his hand and looking glum. The 1952 work carries a high estimate of $6.2 million. 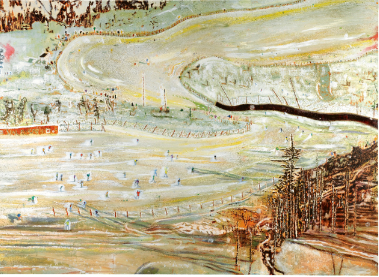 A snowy landscape by Peter Doig is also among the top lots. Bellevarde shows skiers on Bellevarde peak in the French Alps and was sold last at Christie’s in 2001 for $138,000. This time around Sotheby’s hopes it brings up to $3.1 million. 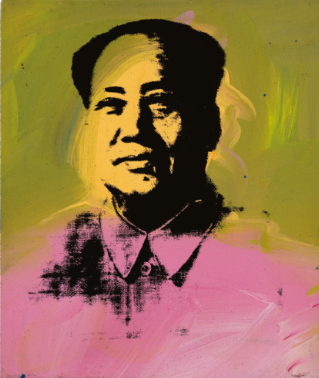 Those in search of a portrait of Chairman Mao will have two to chose from on Thursday evening. Warhol’s silkscreen of the Communist leader’s official 1967 portrait in pink and green is being sold by Jose Maria Cano, the Spanish musician and painter. 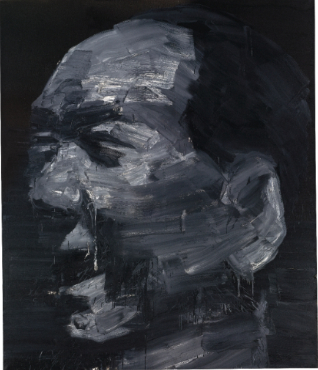 The second portrait is by Shanghai-born artist Yan Pei-Ming, who is best known for his monochromatic portraits of Mao. Gerhard Richter‘s much publicized characterization of the art market as “daft” and “impossible to understand” last week will probably not deter bidding on Kerze, the cover lot for Christie’s sale on Friday evening. 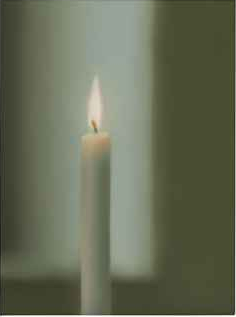 The photorealist painting of a lighted candle carries the highest estimate of any work offered at the three auctions and is expected to fetch as much as $13.9 million. An installation by Maurizio Cattelan can be seen on Christie’s website only after clicking a box that warns: “This lot is of a challenging nature. Those of a delicate sensibility may not wish to view it. Click here if you still wish to view this lot.” The piece is composed of a sculpture of the artist as a boy hanging from a flagpole. 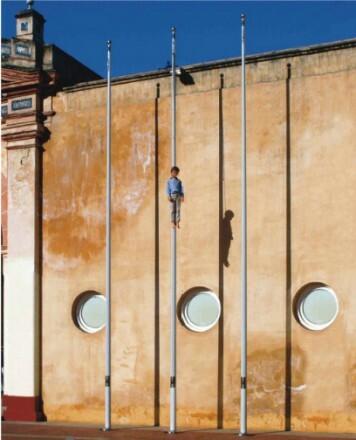 Untitled was installed at the first International Biennial of Contemporary Art of Seville in 2004 and caused a stir because of its disturbing nature. The work carries an estimate of $1.4-1.9 million, but considering the artist has publicly announced he will retire from art making following his upcoming retrospective at the Guggenheim, there’s a chance buyers will bid eagerly to get it while they can. 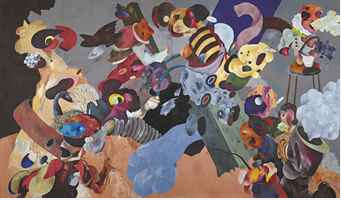 A large scale painting by Ahmed Alsoudani is the only piece by a Middle Eastern artist included in the sale. Alsoudani’s work is currently on view in the Pavilion of Iraq at the Venice Biennale – this year is the first since 1976 that country has been included in the Biennale. The artist was born and raised in Baghdad but was forced to flee in 1995 after defacing a public image of Saddam Hussein. Soon after he came to the United States and attended the Maine College of Art, and later received an MFA from Yale. Baghdad I is expected to sell for at least $390,000. Follow Art Observed on Twitter for live tweeting of notable sales, and check back here for results. 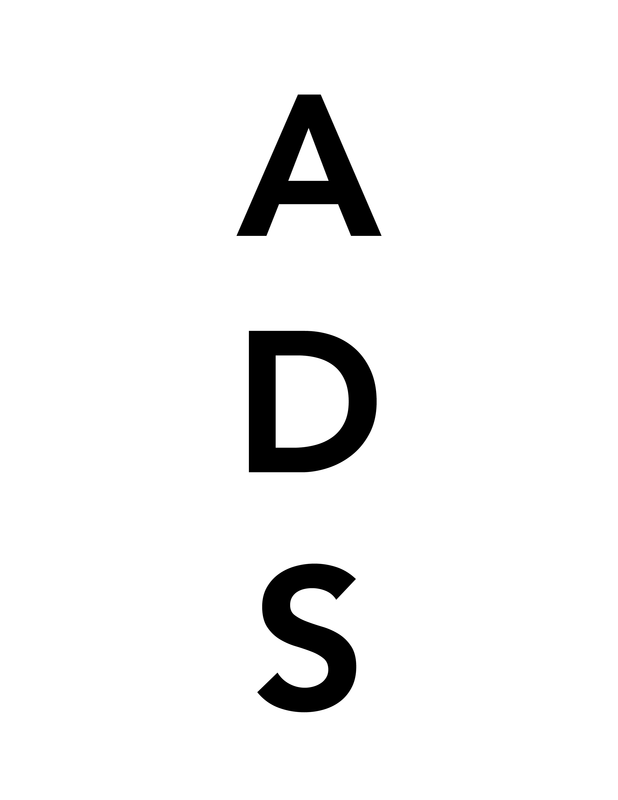 This entry was posted on Tuesday, October 11th, 2011 at 12:58 pm	and is filed under Art News. You can follow any responses to this entry through the RSS 2.0 feed. You can leave a response, or trackback from your own site.